With more and more home or property buyers resorting to Internet or mobile phone, it has become essential to have a real estate website. If you are a real estate agent considering to build a real estate website, see what cost or estimate to expect from your real estate website development company. Taking cognizance of the various steps involved in real estate website development (Life-cycle), the time required therein, and the hourly rate or salary of professionals involved, we will estimate the overall development cost. What kind of property do you want to sell or offer? Who are the targeted customers? Where do you want to serve customers? What are the regulations that serve as the guiding principle for the business there? The future expansion plan, if any? Information gathering process deals with all. The step helps a real estate website development company to conclude about what to proceed with - what designs to keep, what technologies to use, and what approach should be there. A well described and detailed plan helps everyone in the website design, development and testing teams to be on the same page, and take forward the project at a concluding stage to ensure faster development and delivery. Sitemap and wireframe creation provides a structure to the website. Your role is critical at this stage as none other than you can explain your business well. Based on the information collected above and your feedback, a real estate website developer creates the sitemap of the project defining how the various pages of the website will link and how the information will flow. While adjudging the created sitemap, your role should be an end-user. Imagine that you are looking for a property and have some criteria in your mind as what kind of home you want to purchase. Does the site help you navigate to the information you would love to have? If yes, then it’s the ideal site that your customers will also love. Take feedback from your colleagues, and help your real estate website development company to create a sitemap and wireframe that delivers the best user experience(UX). The first impression could be the last impression. This is the step where your designers make all efforts to make your website stand out. All visual content, including images, photos, and videos is created at this step. Obviously, the inspiration comes from the step 1 that we discussed regarding information gathering. Colors, logos, images, form and any other elements of your webpage must be assembled properly to deliver the right user experience. The hierarchy of the pages is also decided at this stage to make sure that users can navigate and find what they are looking for. 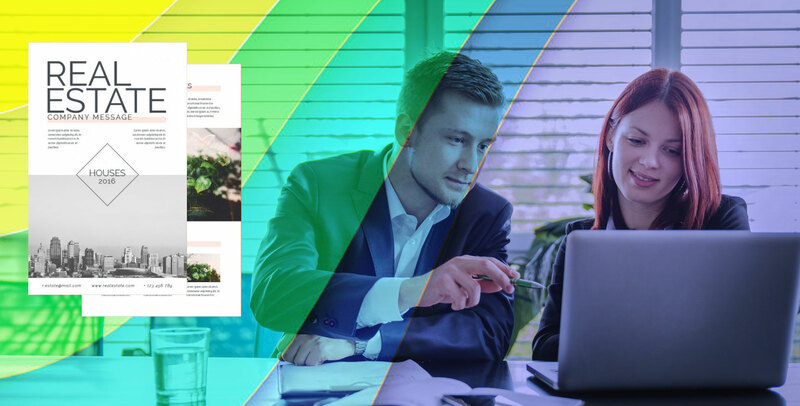 While your real estate website designer is working on the project, it’s your responsibility to keep reviewing the page layout and the creatives. Your feedback, including appreciation and criticism, will help him or her to evolve the website design. Content plays an important role in communicating your message to the audience. Hence, this stage can’t be included, though it’s a non-technical aspect. If your real estate website development company is not offering the content writing services, you should approach the right agency to get it done. Meanwhile, to keep the development process moving smooth, provide a clear idea of what kind of houses or properties you will deal with, and what responsibilities and rights do users have. If you already have the content on any other website, and you want to get it migrated to the new platform, convey it to your real estate website developer. He or she will apply the right practice to map your content to the new platform. Here comes the real technical part. Based on the capabilities and features you want to have on your website, your real estate web developers go with an appropriate CMS framework. The leading content management system frameworks that are available now are Drupal and WordPress. The developers make use of the resources, including themes, modules, and APIs available with it to create a fully-featured website. The coding also includes integration of specific plugins for SEO, MLS, IDX and analytics to serve different purposes. The development time vary based on the features and tools required. Testing is perhaps the most vital part of a process. Whether it’s layout, design or coding everything is reviewed by a competent team of quality analysts to make sure that the website is stable, secure and user-friendly, and is ready to deliver a high performance that users want. Based on the functionalities and features applied in the real estate website development, the testing process and duration may vary. The real estate website design and development cost calculated here gives only a rough idea. It might vary from project to project based on particular requirements. Services like MLS and analytics might be chargeable and, hence, may add up to your total budget.